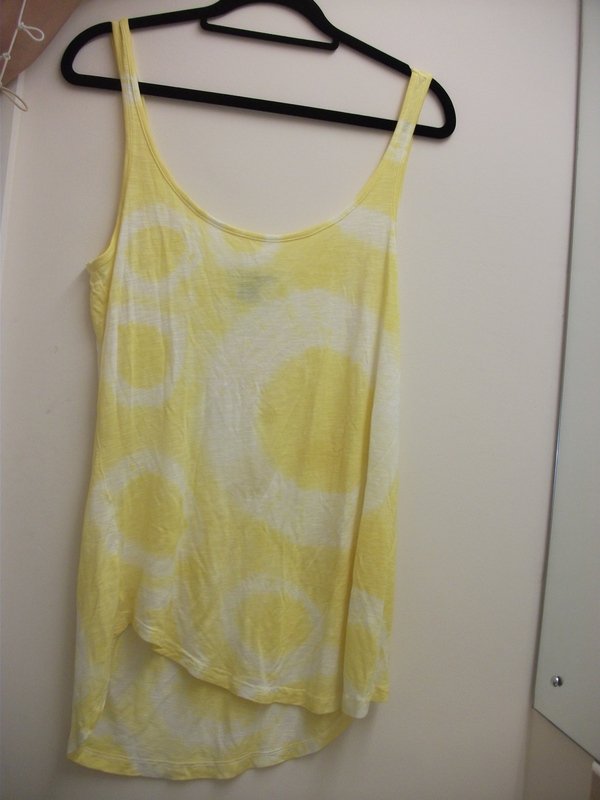 Over the summer, I had lots of fun dying and bleaching clothes. The first thing I did is tie-dye some t-shirts, which is pretty simple but really fun! 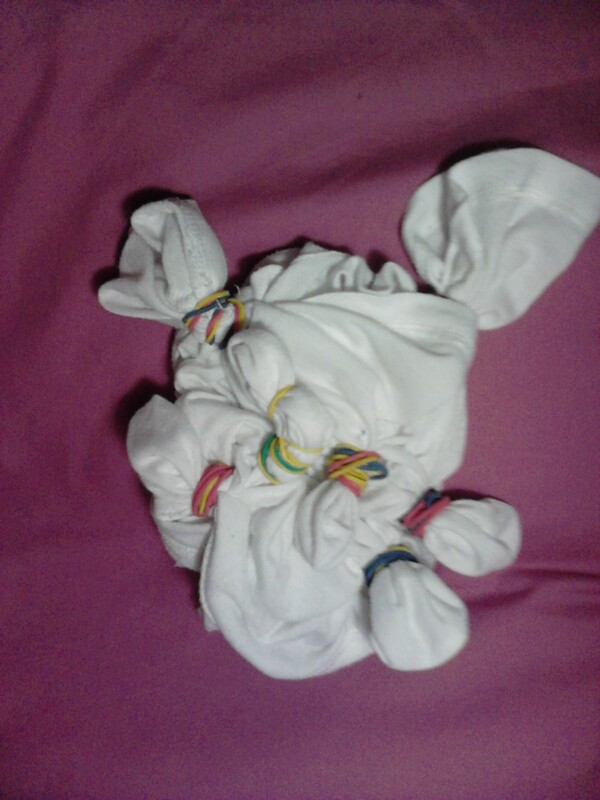 You will need: A white (or light coloured) t shirt, salt, rubber bands, fabric dye (I use powder dylon dye), rubber gloves, a bucket, and something to stir with . 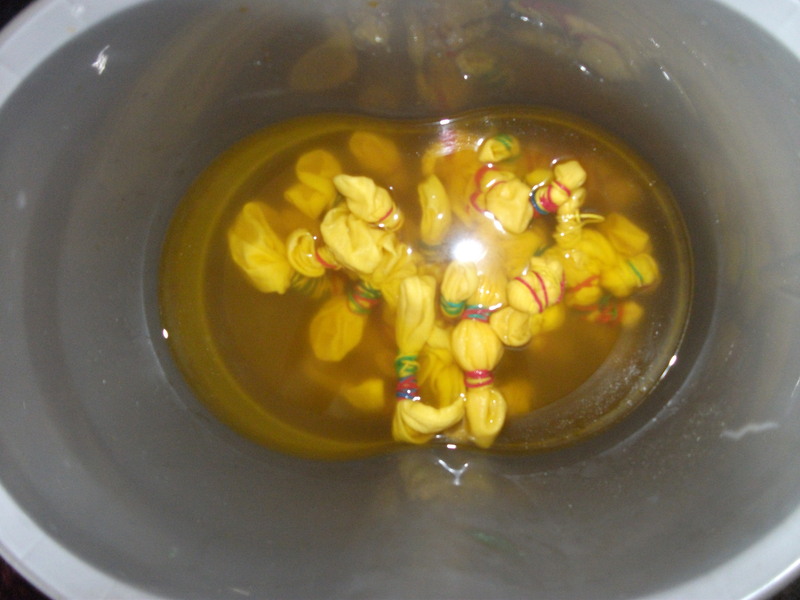 Step 2: Prepare your dye! You should follow the instructions on the back of your dye packet. Make sure you put newspaper down to protect your work surface, and wear rubber gloves so that you don’t get dye on your hands. 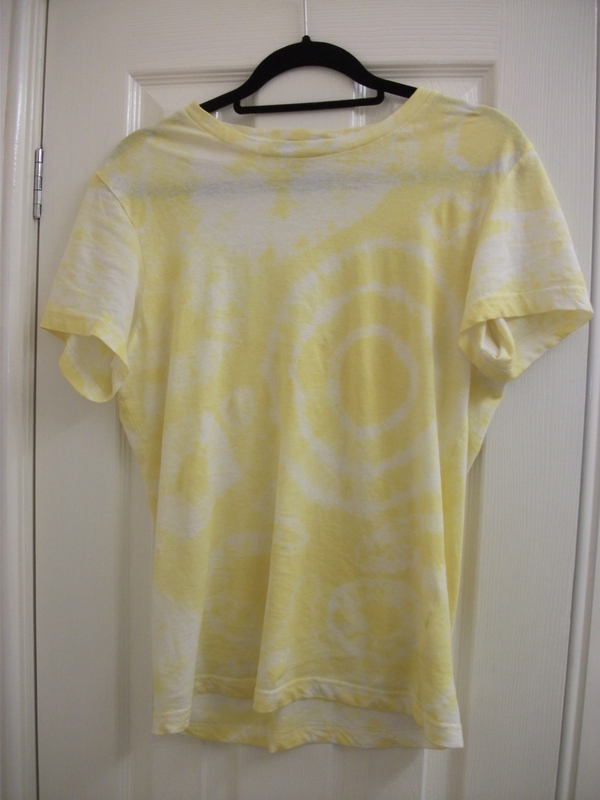 If you’re using the dylon powder dye like I did, you should fill your bucket with warm water (enough to cover your t-shirt), add a couple of tablespoons of salt, and the dye (I used half of the packet for two t-shirts.) Put your shirt in the bucket, and give it a good stir. Step 3: Stir your dye on regular intervals – with the powder dylon dye I stirred it every ten minutes for an hour. Step 4: Wash and dry your t-shirt! I put my t-shirt on a 20-minute rinse wash and then tumble-dried it because I was feeling impatient. And that’s it! Tie-dye is a really easy way to liven up plain clothes. And if you tie-dye everything you can become a hippy, which has been my life-long dream for forever. Are you addicted to tie-dye yet? how fun! i love the yellow. i always think tie dye looks way better with just one color than multiple colors. 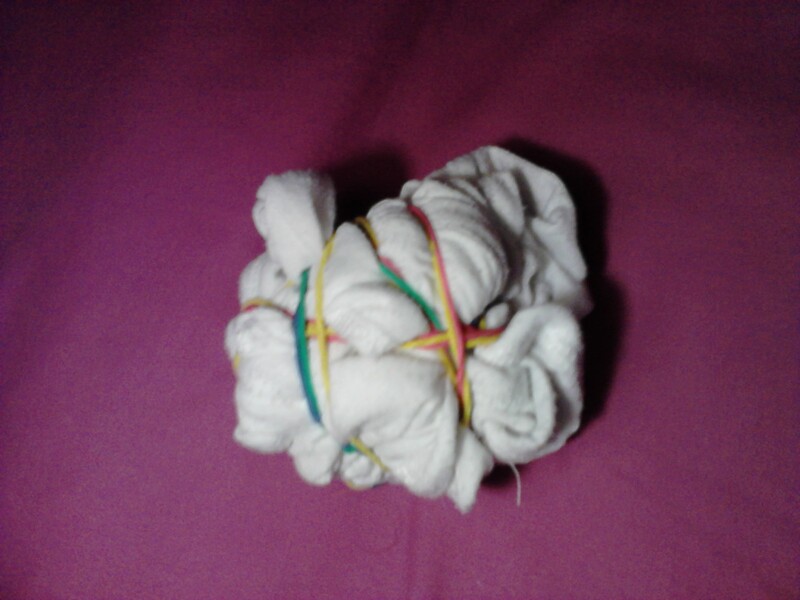 i’ve actually never tie dyed anything… well, maybe when i was really young, like 7 or 8, but i can’t remember! it seems really simple! i’ll have to give it a try thanks for posting the tutorial. how have you been doing? i hope you enjoy your weekend, dear! Good info. Lucky me I recently found your site – Tie-dye T-shirts | Jessthetics by accident (stumbleupon). I have book-marked it for later!